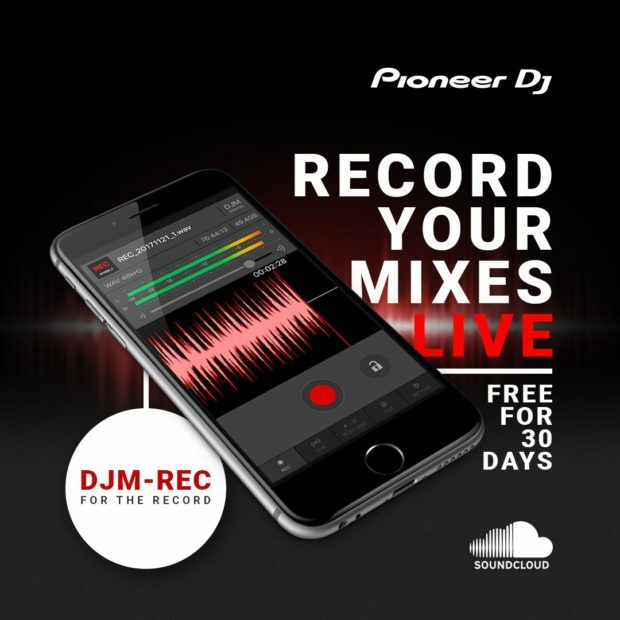 Pioneer’s DJM-REC recording app for iOS is now compatible with SoundCloud, the world’s largest open audio platform. You can now upload your mixes directly from DJM-REC to SoundCloud, and effortlessly raise your DJ profile. It offers everything you need: simple connection, high-quality audio recording, and easy online sharing and streaming using DJM series mixers1 equipped with the send/return feature. Try DJM-REC free for 30 days with full access to all its features. To continue using the app after the trial period, you can upgrade to the paid version for $9.99. DJM-REC is available in English only. iPad and iPhone are registered trademarks of Apple Inc. in the US and other countries. YouTube is a trade name or registered trademark of Google LLC. Periscope is a trade name or registered trademark of Twitter Inc.
Instagram is a registered trademark of Instagram LLC. Snapchat is a registered trademark of Snapchat Inc.
Mixcloud is a registered trademark of Mixcloud Limited. Dropbox is a registered trademark of Dropbox Inc.
Other stated company names, product names, technology names, etc. are the trademarks or registered trademarks of their respective owners. It is the responsibility of DJM-REC app users to follow copyright protection laws, rules and regulations, as well as international treaties designated in the country where the app is being used. Posted in DJ Apps and tagged DJM-REC, Pioneer on July 17, 2018 by djnickjames.